The eye cream that minimizes signs of aging around the eyes. Powered by Organic Harungana, this innovative, all-in-one eye contour care acts on visible signs of skin aging—from temple-to-temple: deep wrinkles, crow’s feet, puffiness and dark circles. Visibly lifts and illuminates eyes for a more youthful look. *Satisfaction test - 379 multi-ethnic women. Replenishes and visibly restores density. Visibly reduces dark circles and puffiness. Apply morning and/or evening to the entire eye area, temple to temple. Use slight pressure on eye contours and eyelids; light sweeping motions between eyebrows and on temples. Rated 4 out of 5 by GG13 from Works extremely well! I bought this with some hesitance (due to cost, hence only 4 stars) a couple years ago. It worked so well. My eyes never looked better. I dab it on at bed time and in the morning and any puffiness/bags I woke up with go away. My wrinkles and crepiness faded away. It also lasts about a year or more as you only need a tiny bit. I quit using for the last 9 months and can really see the difference. The results lasted quite a while after I stopped using, but I have purchased again and won’t go back to any other products! This is magic! Rated 1 out of 5 by charbo from Not for me! I have been using this product approx. 2 months as directed and I must say, that, if possible, this has made my dark under eye circles even worst! Even using Clarins eye concealer I look like I've been sick. Try to get a sample and use it for a week before committing. Rated 5 out of 5 by Preet from Awesome! I have been using this eye concentrate since 2014 when I noticed my left side eyelid looks little saggy n I just started to use that and didn't get a huge difference but when I don't use this I feel incomplete and dry. I'm 36 now and this product says 50+ little scared from any further results but so far that's really AMAZING! I definitely recommend this product. 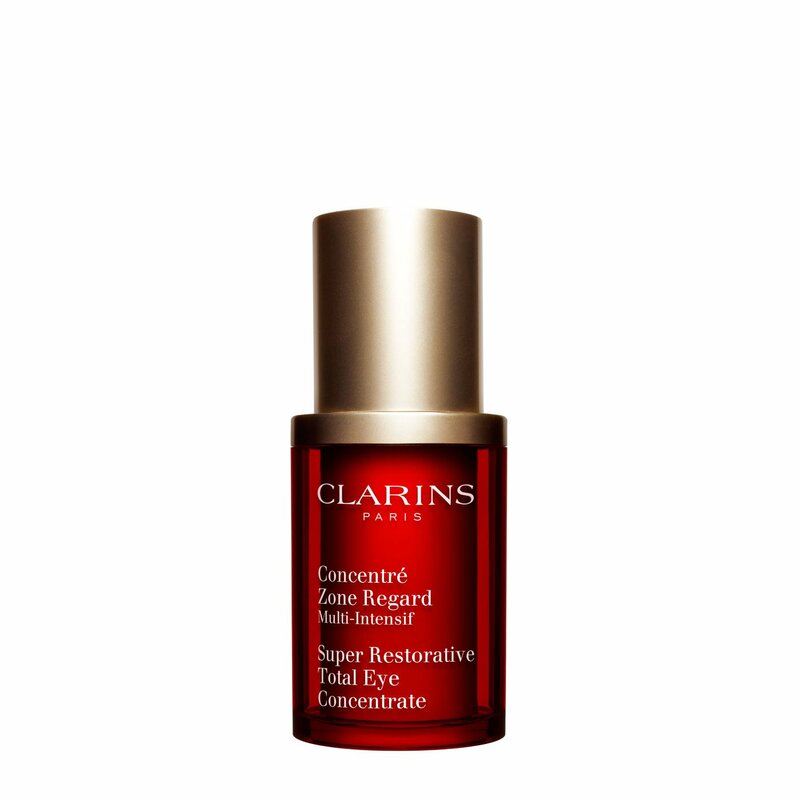 Rated 1 out of 5 by Just Visiting from Disappointed-It Irritated My Eyes As of today, I've only used a sample of the Super Restorative Total Eye Concentrate two days in a row, and it has irritated my eyes. On a daily basis, I use Clarins skincare and make-up products, and Clarins Extra-Firming Eye Wrinkle Smoothing Cream. I'm a fan of the Super Restorative face/neck creams so wanted to try the eye cream from the Restorative line. I'm not "allergic" to anything. Yesterday, the first time I tried it, I pressed an amount the size of a dot under both eyes. I could feel a kind of cooling sensation under my eyes, and not a painful stinging but a sensation uncomfortable enough that I planned on not using it again. My best friend loves this product, swears it works and didn't have any irritation from it, so I tried it again this morning. This morning, the second time I applied it, I pressed an amount the size of a dot to my upper and lower eye areas. My eyes were irritated all day, so much so I had to take off my make-up as soon as I could (around dinner time) rather than before I went to bed. I've been "aware" of my eyes all day. They looked red-rimmed, stung and I felt like I wanted to touch them to alleviate the discomfort but then they kind of itched. I resisted the urge to rub them. So it's almost bedtime and my eyes are still red-rimmed and feeling irritated as I type this review. 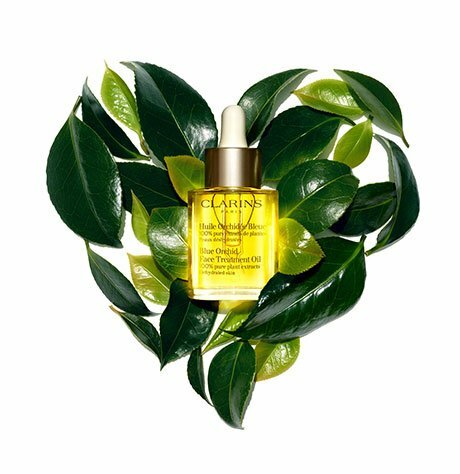 I'm thankful for others taking the time to share their experience w/Clarins products. I see where another reviewer tried this product again after she experienced a reaction to it and ended up with red bumps, so I will not try it again unless they reformulate it. Clarins Customer Service: Do you know which ingredient could possibly irritate some user's eyes? Thanks! Rated 5 out of 5 by NicoleWagner from Wow!! Just wow!! So generally I’ve got huge pores and patchy dry, red skin amd melasmas. I usually look like I’m wearing a red mask. I’m on my second bottle of the serum and I’ve seen the results. Other people notice. My skin is dewy and my pores reduced. I’m 43. Rated 5 out of 5 by Elsa from Love it. I really love this product, the tube last at least 6 month this a great value and I can notice a real difference around the eye area. Rated 1 out of 5 by MargaretW from Rash Inducing Clearly not hypo-allergenic... After first usage, redness immediately appeared around my eye area. I though perhaps my skin just wasn't used to a new product. I applied again in the morning and again, a red-dotted rash appeared within seconds around the entire eye area where product was applied. Not happy, to say the least.